It takes a lot for me to get excited about a book so much to pre-order it. So far, my pre-order history has mainly consisted of the Harry Potters, and that has been a lifelong love. 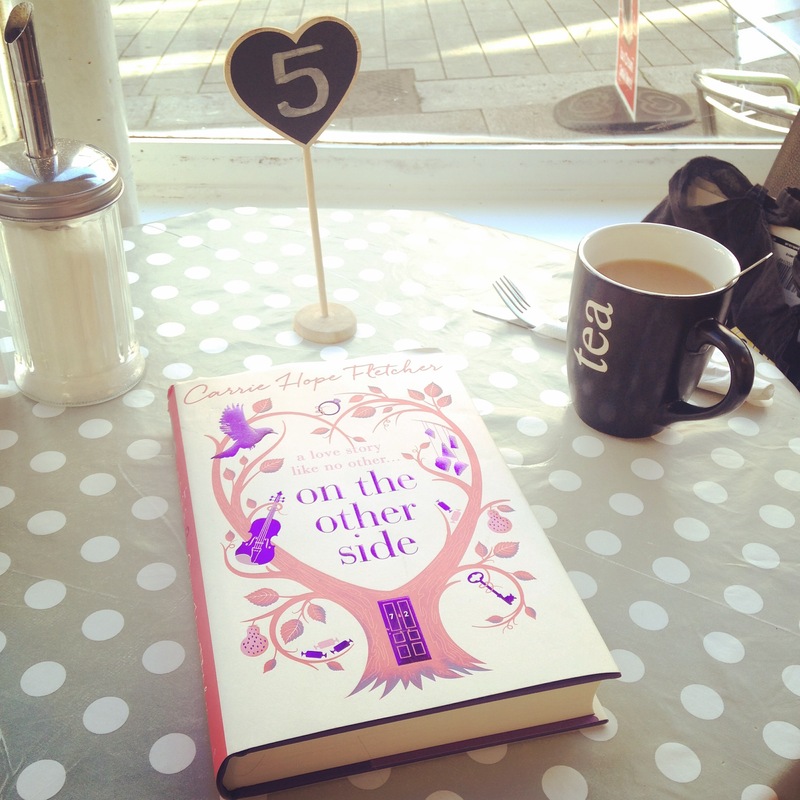 But with Carrie Hope Fletcher, I’ve rushed to bookshops to get my hand of my copy, and happily put a deposit down. I’ve loved Carrie’s YouTube videos and West End Performances for years, and after loving her self-help book, All I Know Now, I was very excited to hear t hat she was publishing her first fiction novel. And by now, I can happily say, I wasn’t disappointed. When Evie Snow dies at the grand age of eighty-two, she is surrounded by family and remnants of a pretty happy life. However, when she attempts to get in the door of her personal heaven, she is stopped. Evie’s soul isn’t light enough to pass through the doors, and she has to unburden herself of three deep secrets that she has carried around with her for nearly sixty years. Now Evie has to go on a journey through her life, and on her way, she learns more about her own life, and the love she lost, more than she knew was possible. Firstly, can I say I loved the premise. The idea of personal heavens has always attracted me since I read The Lovely Bones by Alice Sebold. Having a space where you feel you more comfortable and happy is such delightful thought. Fletcher has also obviously given a lot of thought into how she perceives a personal heaven, and how a soul must be unburdened from past strife to fully embrace it. I also loved how she dealt with the state of limbo, and how people adapt with their human deaths. The story featured a lot of magical realism which was fun and sweet to read, and it reminded me a bit of the worlds that Studio Ghibli create. The love story was very sweet, and fairly powerful. I’m not ashamed to admit I cried in public whilst reading one particular moment, and I thought she captured the essence of first love and attraction very well. In my mind, Fletcher also incorporated people’s sexualities and preferences well in this text. The novel touches on homophobia well, and stories of ‘coming out’ is also dealt with grace and sensitivity. As the novel features bisexual, pansexual and gay characters, I feel that it fits well in with the contemporary YA market. The story also has a deeper plotline. Despite dealing with lost love, it also deals with family issues and a strong-minded female protagonist who has to sacrifice a lot to help others. I really admired Evie Snow (the protagonist) as she decides to reject her parents controlling ways, and take control of everything for a time. The characters were well thought out. Like I said, I enjoyed reading and learning about Evie Snow. Vincent Winters was a particular favourite too, as he was so sweet and thoughtful. To me, it was obvious that Fletcher had taken a lot of inspiration from her life, and even her and friend’s appearances, but it didn’t dampen or change the story. I also admired James Snow, for his kindness towards Evie. The plot was also structured well, and I wasn’t bored when reading it. It sped through at a reasonable pace, and featured touching storylines. I liked how each of the secrets were split up in their own segments, and how they featured people that meant a lot to Evie. It was fairly-well written, but featured some metaphors and similes that were obviously targeted for a younger audience, and probably not a twenty-two year old Masters student. However, this was warmhearted, whimsical read that I thoroughly enjoyed. To be honest, I didn’t want it to end, and will happily pick it up at a later date. On the Other Side is out now.